If I could rate a 10 star I would! I love that salon owner Gemy makes education a priority and has built such an AMAZING team who actually work together to get what you want. It is so impressive to watch them! There’s nothing better than going in a salon and seeing everyone on the same page from start from finish. Thank you for making me feel and look beautiful! Gemy has owned and managed Studio 39 since 2001. 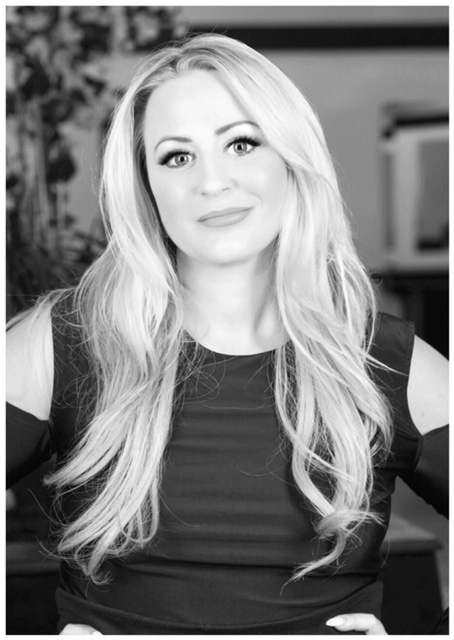 She comes from a 4th generation entrepreneurial family of builders which is the source of her passion for building a strong salon team and her hands on involvement with the construction of the salons. Professionally she began her career as a cutting specialist at Mario Tricoci’s of Chicago in 1996. There she learned the art of Vidal Sassoon principle that all hair must start with architectural shape based on anatomy. There she built an impressive client portfolio including First Ladies, pro-athletes, and stage performers. She has traveled to New York multiple times to attend advanced training at the L’Oreal Academy in Soho. Born blonde, she understands the attention to detail it requires. It became an area of focus work for her in 2005 when focus color work was unheard of in the Midwest. She expanded her freehand work with Balayage and other hair painting techniques and in 2006 the salon noticed new clients calling for “the blonde specialist“, how she became Kansas City’s first recognized blonde & platinum color specialist. She then created the systematic salon color approach. Her signature blonde on beige and other formulas and techniques were taught in the Salon in a way that advances color work quickly in a developing stylist. In addition to her staff, she has trained area stylists and salon owners in advanced cutting, color, and business. In 2007 she became certified in multiple extension techniques and has expanded the skill og hair enhancement by combining cut techniques for long, natural looking hair. You may have seen her on KCTV5 sharing beauty expertise but she has edited her outside salon interests to focus on business. She recently completed the goal building a Studio 39 in the Lee’s Summit area. The result is the stunning salon at our Lakewood location. She prefers being on the salon floor working and educating in a fun straightforward way. She loves meeting new guests so if you see her on the salon floor say hello! She is proud of her staff and has limited chair time so through the years she has shared and referred many to other S39 stylists and always loves catching up with them. Outside of the salon she enjoys visiting historical places with her family and spending time outdoors. All new client color work with Gemy is a flat rate of $100 an hour.